The leader of the opposition in the Gujarat Assembly Shankarsinh Vaghela on Wednesday alleged that Gujarat government, when Narendra Modi was chief minister here, had favoured billionaire Gautam Adani promoted Adani Group to set up private port at Mundra in Kutch district. He claimed that the state government did not adhere to the Port Policy of 1995 and sold off its stake to the Adani Group leading to establishment of a private port which was originally conceived under the port police as a joint venture port. Vaghela made these allegations citing the report of the Comptroller and Auditor General of India (CAG) which was tabled in the state assembly last month. “The CAG has in strong words criticised the state government for not adhering to the 1995 Port Policy for the state and allowing what was originally conceived to be a joint venture port into a private port,” Vaghela told mediapersons in Gandhinagar today. “The Modi government diluted its stake in the Mundra port schematically from 26 per cent to 11 per cent and then to 8.55 per cent. 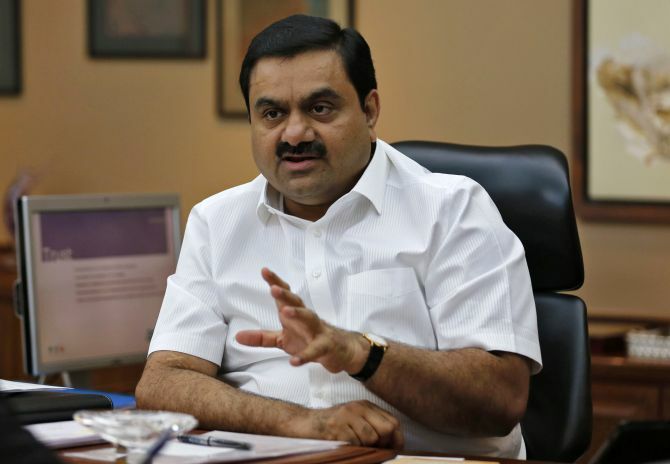 Later on state government sold off its stake of 8.55 per cent for Rs 197.79 crore to the Adani. Now, if the state wanted to set up a private port it could have followed the procedure described in the port policy and invited bids from other players. That could have got better valuation for the MundraPort,” the senior Congress leader claimed. “But bids were not invited and stake was systematically diluted to nil over the course of time. This I believe was favourism by state government to Adani. And this favoure Modi seems to have used for funding his election campaign during the Lok Sabha elections,” alleged Vaghela. 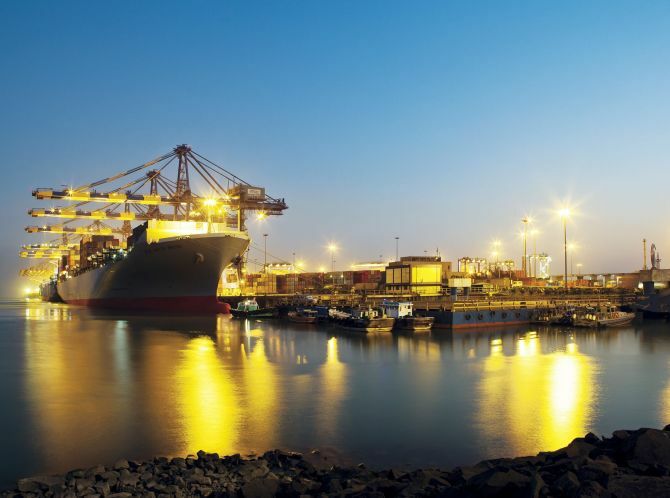 Last month CAG had pulled up the state government for ‘deficient planning’ with regard to the its Port Policy, 1995, which has left important commitments made in the policy unimplemented even after lapse of more than 15 years. 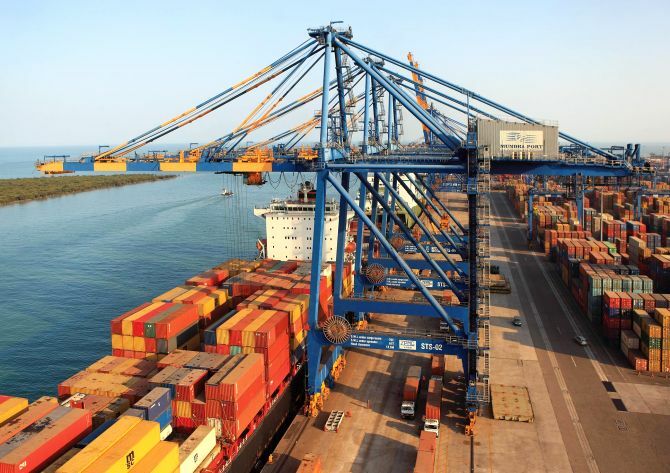 The watch dog observed that the development of Mundra Port (now Adani Port) in Kutch, though was envisaged to be a joint sector (public-private) port, had turned out to be a private sector port. 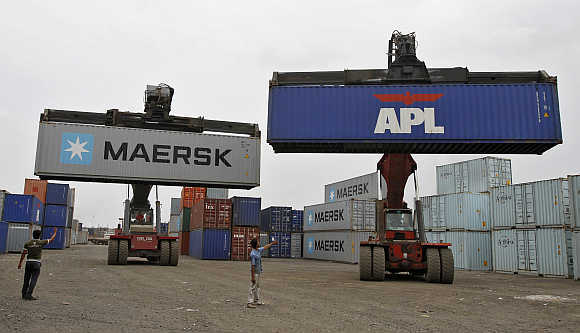 CAG in its report has also stated that Gujarat government did not follow competitive bidding process while disinvesting its stake in the Gujarat Adani Port Ltd (GAPL), a company promoted by Adani Port Ltd and Gujarat Ports Infrastructure Development Company Ltd (GIPDCL), as wholly owned company of state-run Gujarat Maritime Board. Are Indians really worried about corruption? Is Adani BANKING on Modi to be the next PM?